The present invention provides safety confirmation or hazard warning to a technician in the field, e.g., by scanning an equipment identification label and comparing the identification to a schedule of equipment inactivation times. The systems and methods of the invention can optionally provide remote interactions to reschedule inactivations or to protect the technician by lock-out from a hazardous condition. 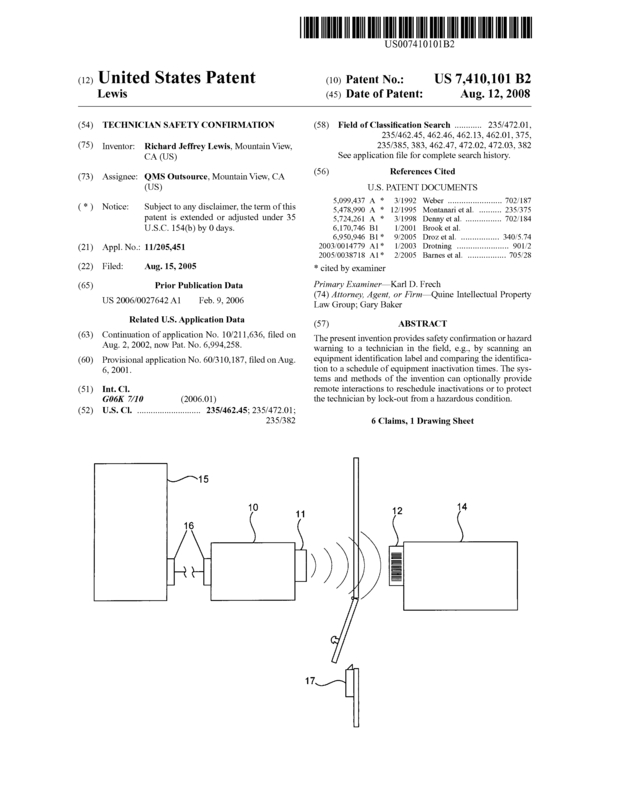 This patent creates an electronic lock for managing regulation safety using iOS phone. Page created at 2019-04-25 19:59:18, Patent Auction Time.